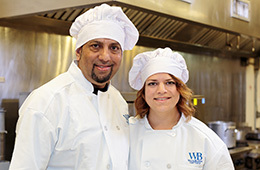 Welcome to White Blossom Care Center where we love to enrich lives! White Blossom Care Center is San Jose’s premier post-acute rehabilitation center located in beautiful San Jose, CA. We are dedicated to providing personalized rehabilitation and nursing services to all who enter our doors. Our healthcare professionals strive to help our residents reach their maximum potential in a caring and supportive environment. White Blossom Care Center is centrally located just off the 280 Freeway in between Bascom Avenue and Southwest Expressway. We are conveniently located within miles of O’Connor Hospital, Good Samaritan Hospital, Regional Medical Center, Kaiser Santa Clara and Kaiser San Jose. A stay at White Blossom Care Center begins with an evaluation by our team of physicians, therapists, nurses, social services, and other support staff. These meetings allow us to design a personalized care plan focused on returning you to your highest level of independence as quickly as possible. In addition to our focus on rehabilitation, keeping the mind and body active has always been a top priority at White Blossom Care Center. We believe that the lives we enrich help our community smile, encourage others to serve more, and make White Blossom Care Center a truly unique place of love and healing for you and your family. 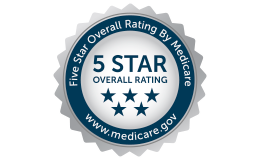 We are proud to announce that we are a 5-star overall rated facility from Medicare and Medicaid. We believe our focus on enriching lives not only blesses our residents’ lives but also that of our staff members. In turn, our staff members are able to provide the highest quality of care to our residents and families. Visitors are welcome every day of the week. Come see our resident’s and friendly staff in action. Feel free to contact us to learn more about the unique, sophisticated healthcare environment here at White Blossom Care Center.